Claire Seneviratne - Ceramic Artist: Gold lustre pendant with sgraffito drawing. Gold lustre pendant with sgraffito drawing. 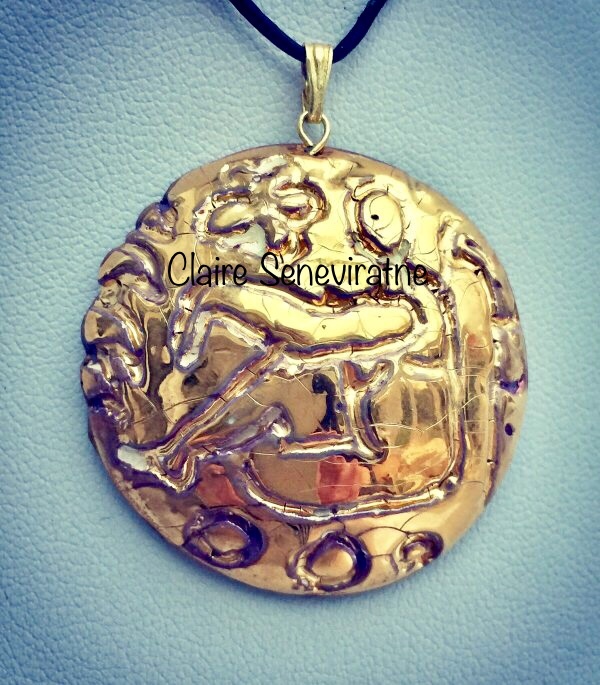 On this gold lustre pendant I have drawn a female body sitting in a yoga pose. I like to portray the female form as strong, beautiful and meditative. The pendant is attached to an adjustable leather thong.